Eye-catching. 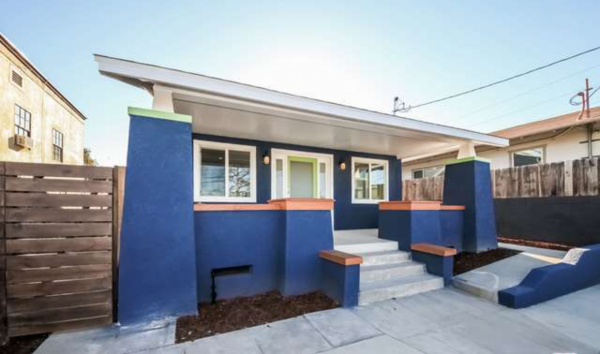 If anything else, this colorful bungalow at 2146 Santa Ynez Street is definitely that. 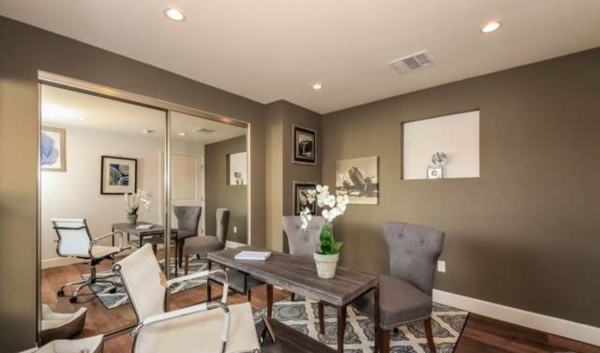 Luckily, there is more to it than just a bright, pretty face at $699,000. Originally built in 1906, this 3 bedroom, 2 bath, and nearly 1,500 square foot home has been thoroughly updated throughout with dark, wide-plank hardwood floors, recessed lighting, a newer kitchen that includes marble counter tops and a large center island, not to mention other basic creature comforts we’ve come to expect like central air and heat. 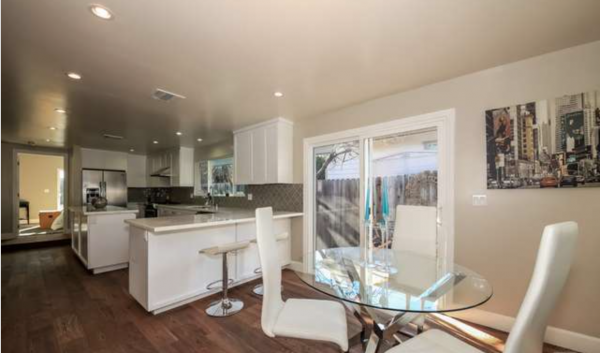 The open kitchen and dining area invites interaction with family and guests. 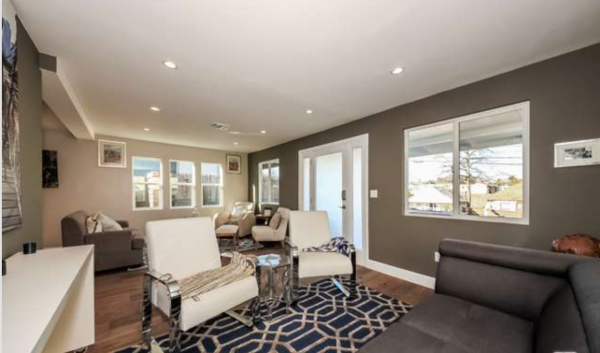 A small breakfast bar — located by sliding glass doors to a small porch — is also excellent for indoor/outdoor entertainment. 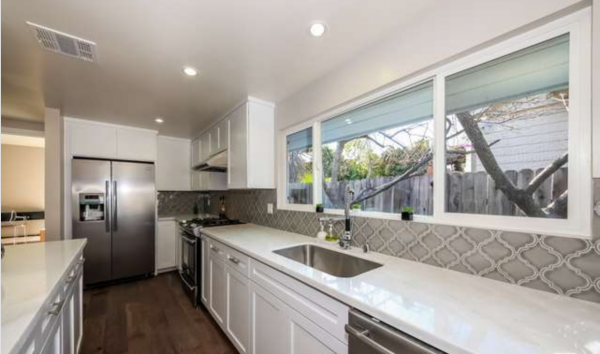 The open kitchen with newer appliances also provides plenty of both cabinet and counter top space for all your cooking needs. 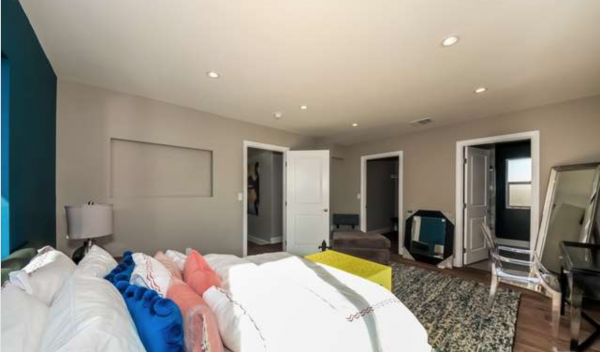 Located at the rear of the home, the en suite master bedroom is sizable and benefits from additional privacy, a large walk-in closet, and its own set of sliding glass doors leading outside. 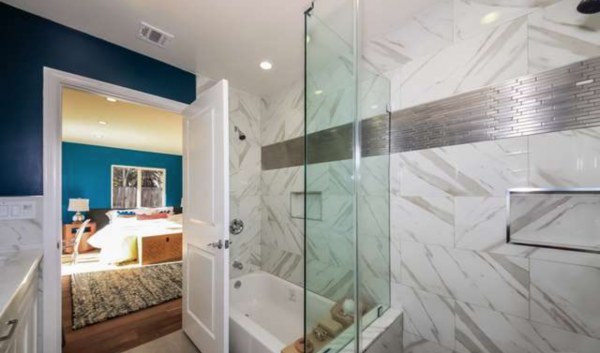 The current owners certainly love blue because the color scheme continues into the master bathroom, which has a large separate glass shower and tub. 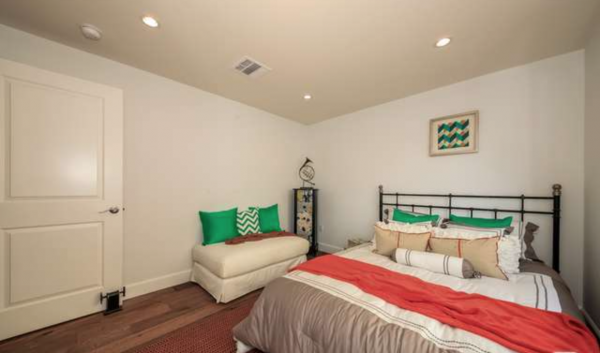 Neither guest bedroom could be considered a penalty box, as both are a comfortable size. Overall it’s a simple design. If there was one complaint it would be the heavy use of cement up front. Sure, the benefit of that is ample parking space, but a little drought-tolerant greenery would also go a long way. 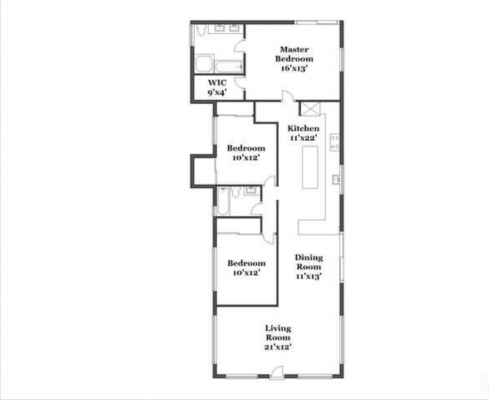 Jimmy Bayan of the John Aaroe Group has the listing.